One portion of the day that can sometimes be forgotten in the planning process is the “getting ready” portion of the day. Though it might not seem as important or necessary, the location you choose to get ready on the day of your wedding can have a HUGE impact on the final product of your photos! While getting ready in the basement of the church or in a tiny hotel room might seem like the only option, I wanted to share a few criteria to help you choose a getting ready space that will not only make your bridesmaids comfortable, but will allow for the best possible photos! Natural light will ensure that your photos are well lit – naturally. Flash can always be added, but natural light tends to be very flattering and will ensure that your photos are gorgeous and glowing! Natural light is also the best for having makeup done. It’s always helpful to get ready in a location that has more than one room. Why? It’s easy to keep the room where the bride is getting dressed clean and tidy (i.e., a clean backdrop for the zipping of the dress!) if there’s another room for the bridesmaids and family to throw their bags, makeup, and miscellaneous items into! 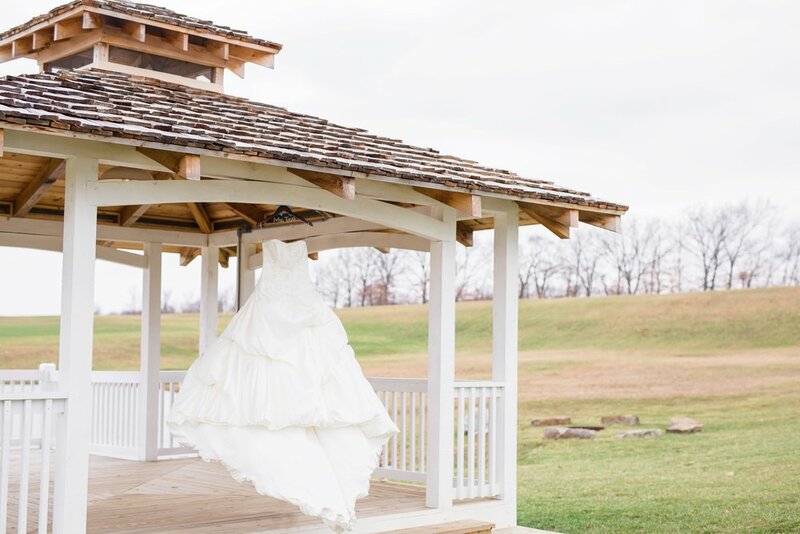 Choosing a location close to the ceremony location will save time (you won’t have to be ready quite as early), money (you might be able to save on a limo/party bus), and might even get you a few more photos (less travel time = more time for photos!). It’s a win-win from every angle! So, you might be wondering – where can I find a place like this?! Some of my all time FAVORITE getting ready locations have been in bed & breakfasts. They are typically naturally lit, have lots of space, and they are all over the place, and therefore typically fairly easy to find in close proximity to a ceremony location! Another great option is a hotel room – but when thinking of getting ready in a hotel, opt for a suite style with multiple rooms! This will ensure no one will be cramped and that the space won’t be too messy! 1. Be willing to relocate for the zipping of the dress and for putting on shoes/jewelry. In some cases where the getting ready location has been small and dark, we’ve moved the bride outside to a porch for the “finishing touches” of getting ready, allowing for some beautifully, well lit getting ready photos! 2. Designate one corner of the room as the place to put everyone’s stuff before beginning the process of getting ready. This will keep the rest of the room clean for photos!